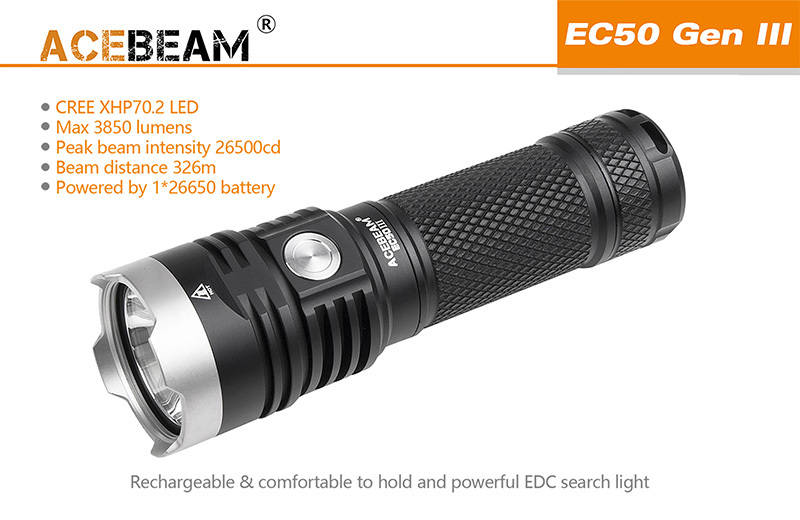 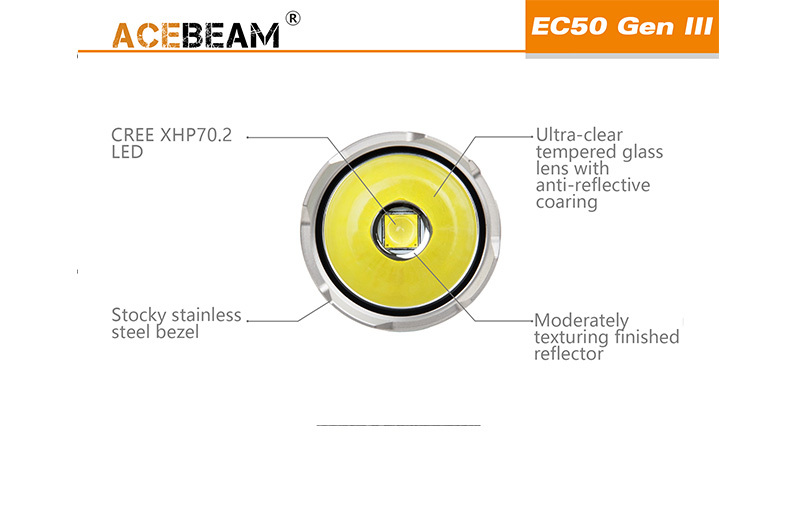 Acebeam EC50 GEN III LED Flashlight is now equipped with a powerful CREE XHP70.2 LED and powered by 1*26650 rechargeable lithium-ion battery. 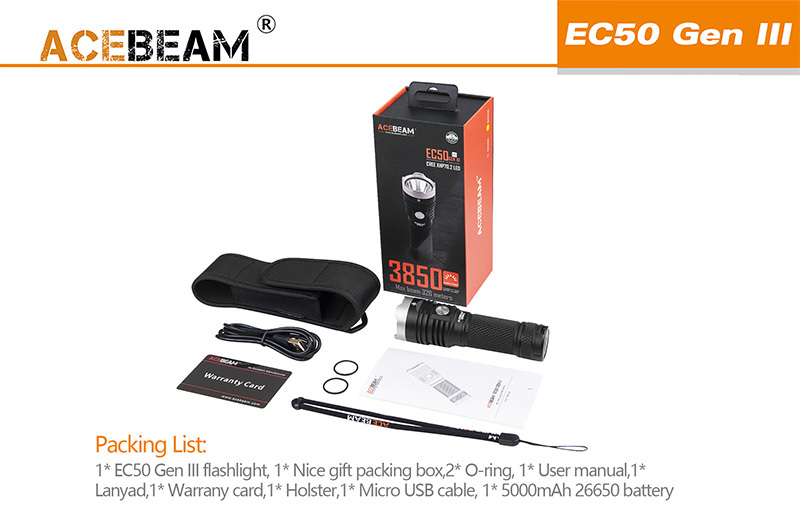 The max output of the EC50 Gen lll is a staggering 3850 lumens with a beam distance of 326 meters! 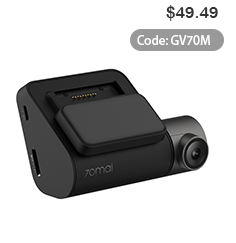 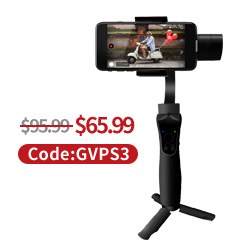 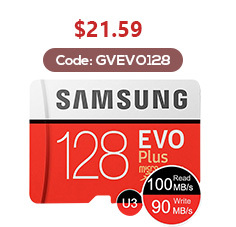 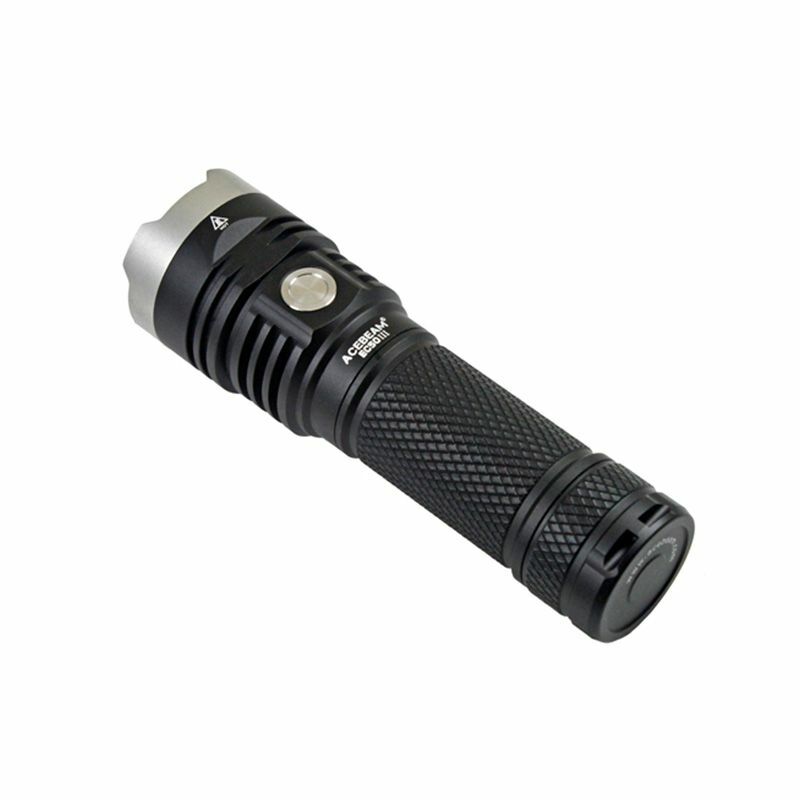 It still remains compact in size and is lightweight (120g) which makes it convenient to carry. 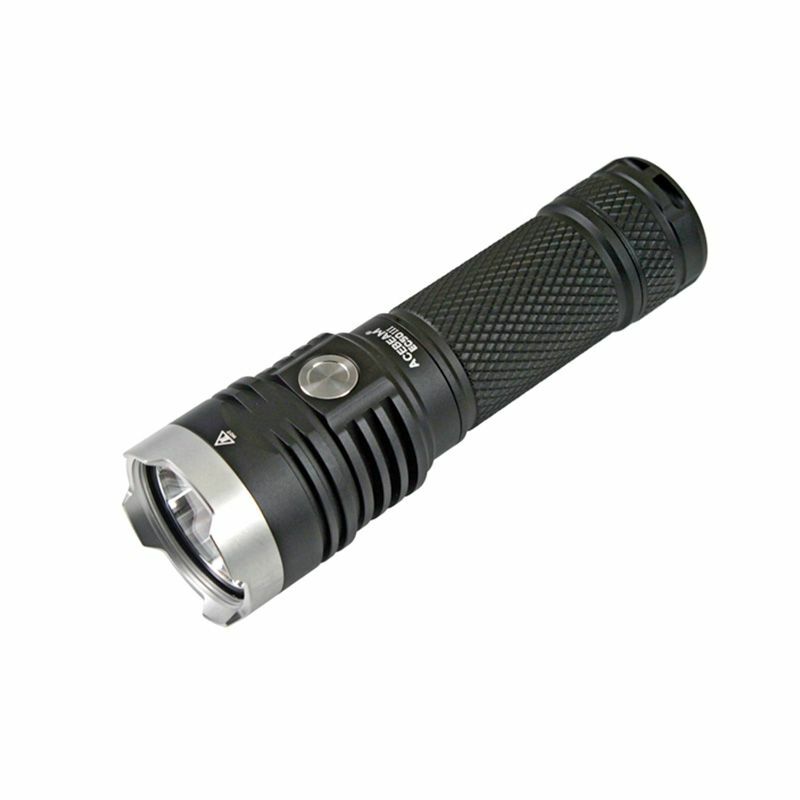 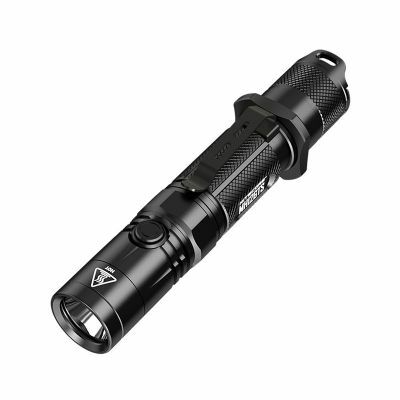 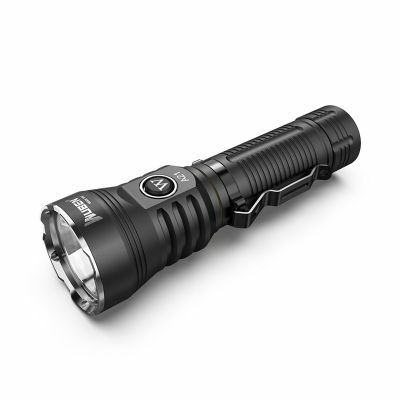 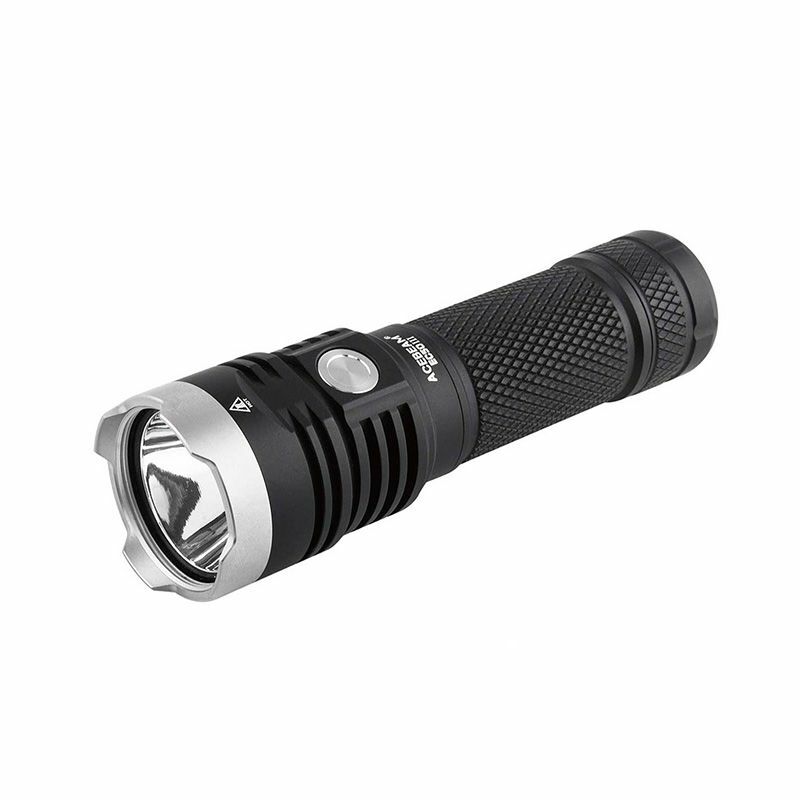 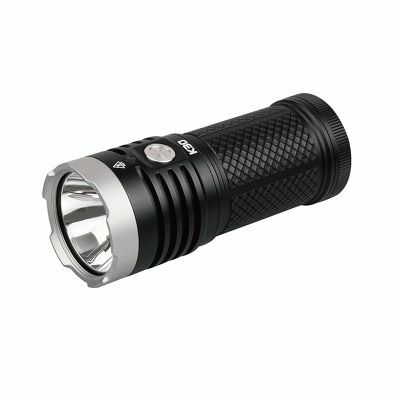 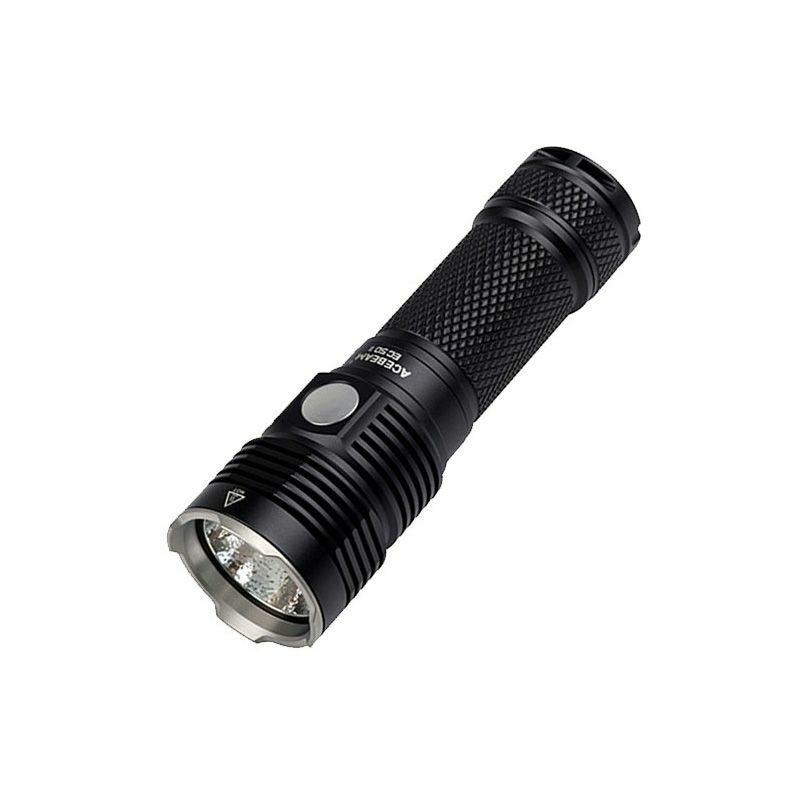 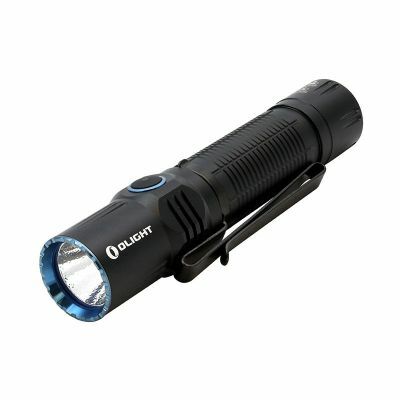 It is one of the brightest EDC flashlights which integrates high performance and long standby time. 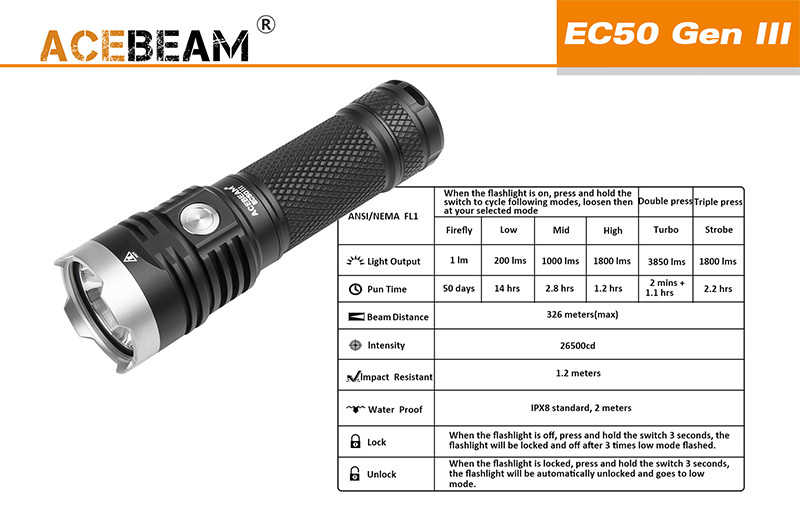 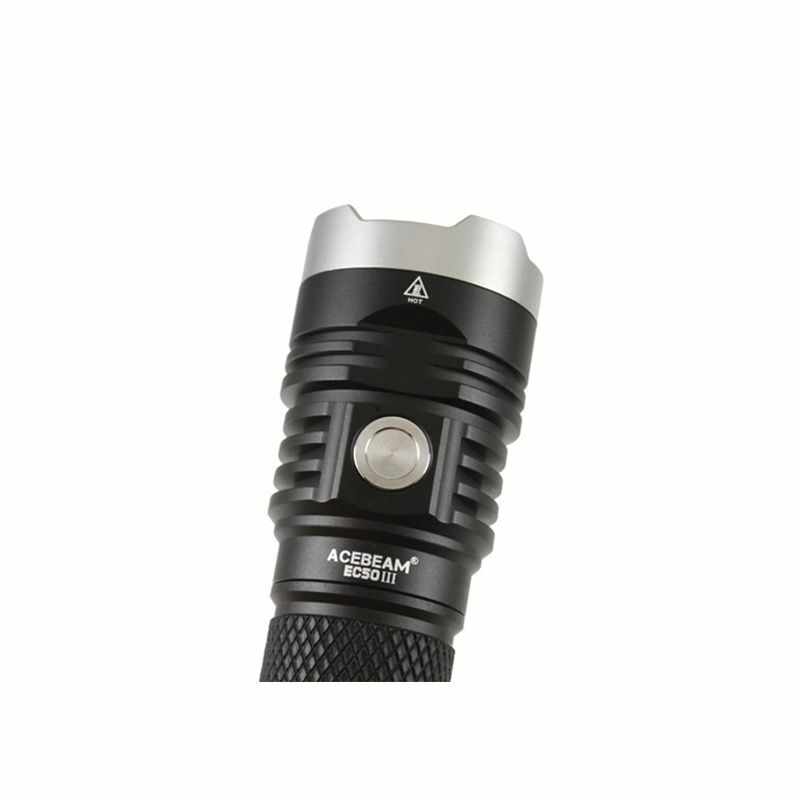 ● ACEBEAM EC50 Gen III is a high-performance 3850 lumen flashlight for outdoor, law enforcement, search and rescue, military and general use. 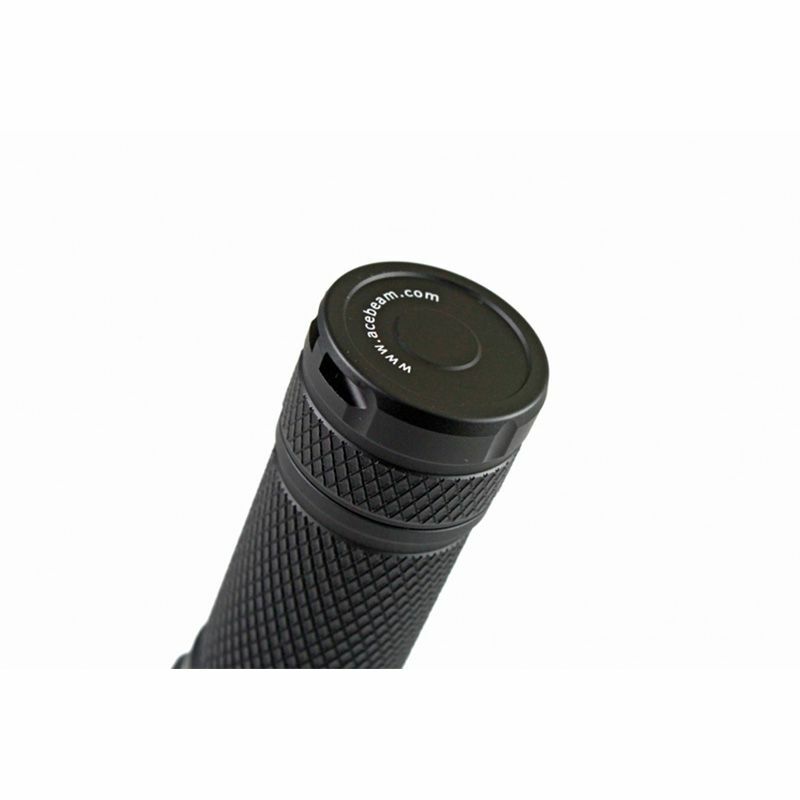 ● Micro USB chargeable. 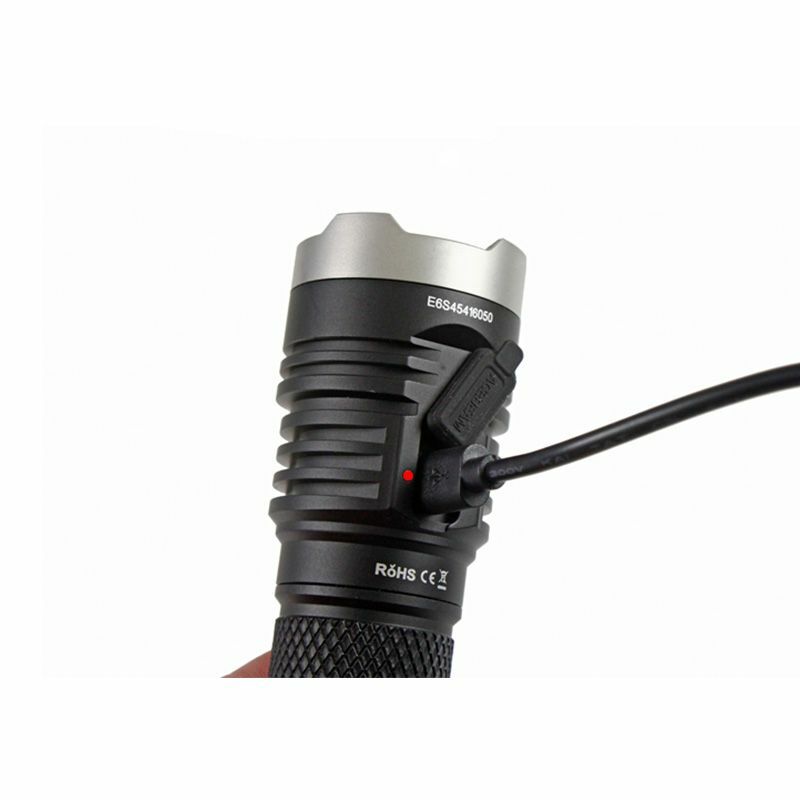 Plug USB cable directly into light to charger. 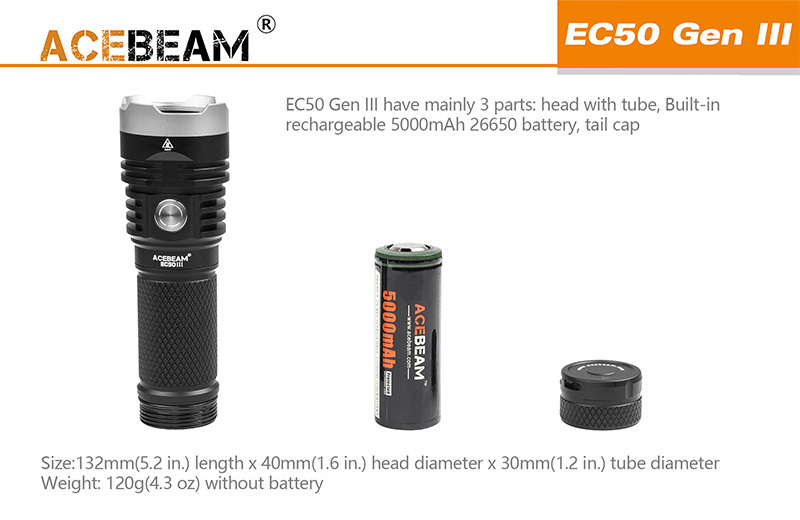 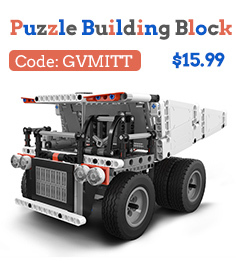 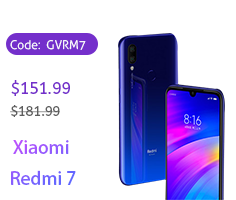 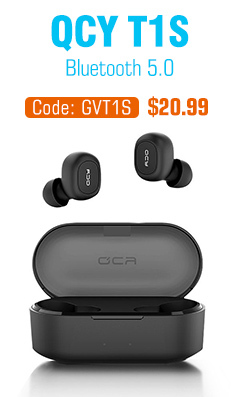 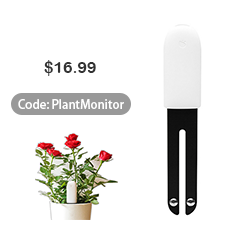 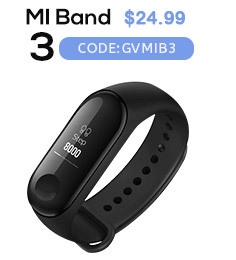 Powered by one 26650 battery that is included. 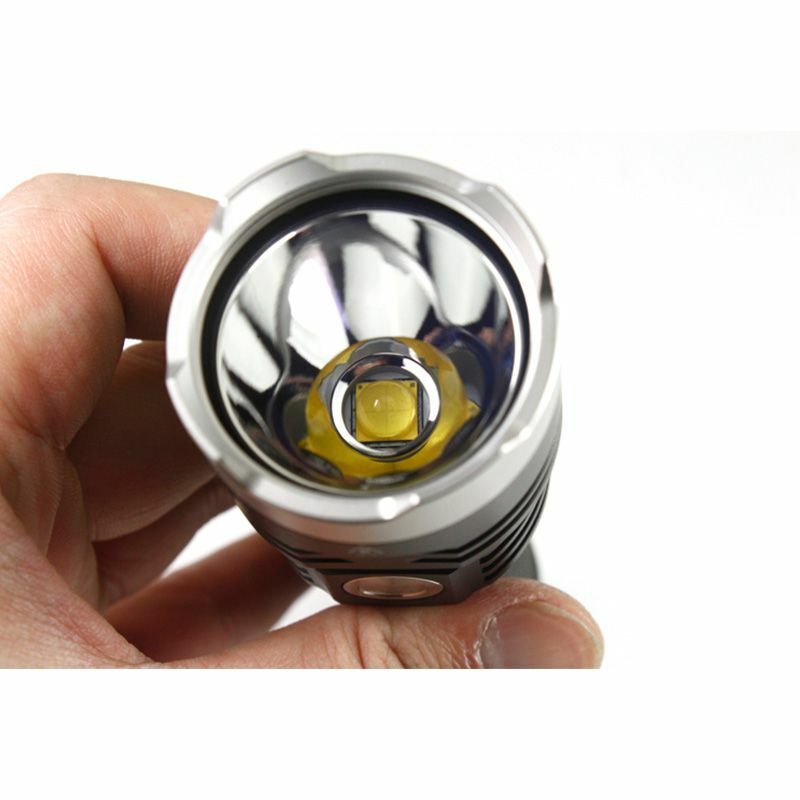 ● Latest CREE XHP70.2 LED with amazing 5000k tint. 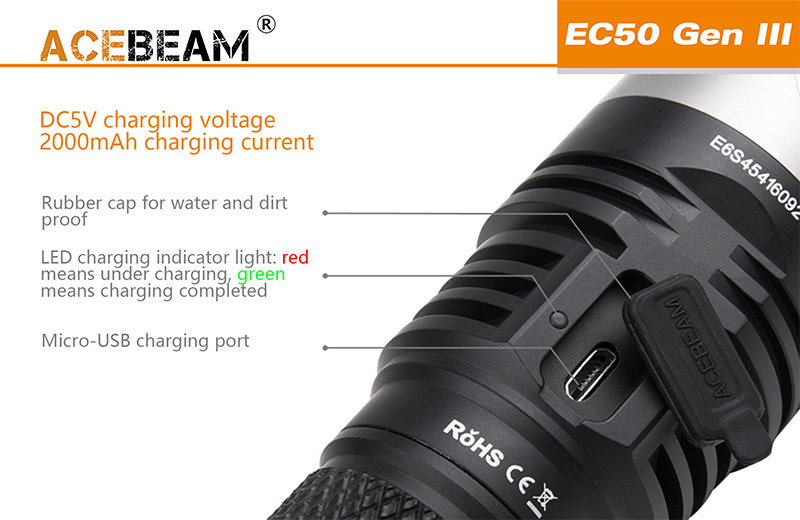 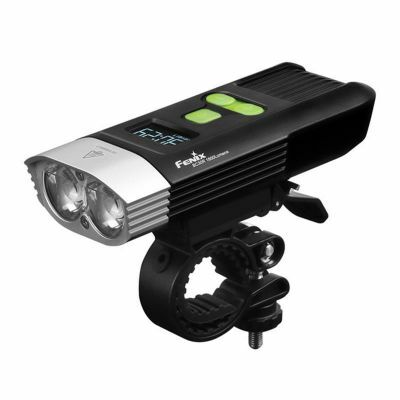 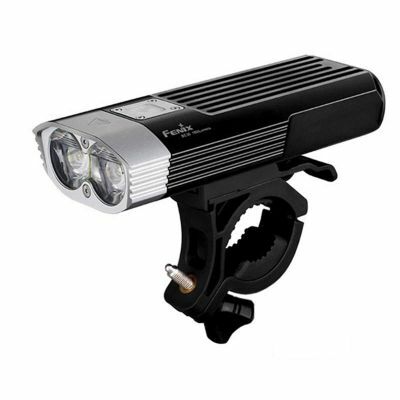 ● Max output of the EC50 Gen lll is a staggering 3850 lumens with a beam distance of 326 meters!